Crowdfunding has become a popular trend with emerging companies. 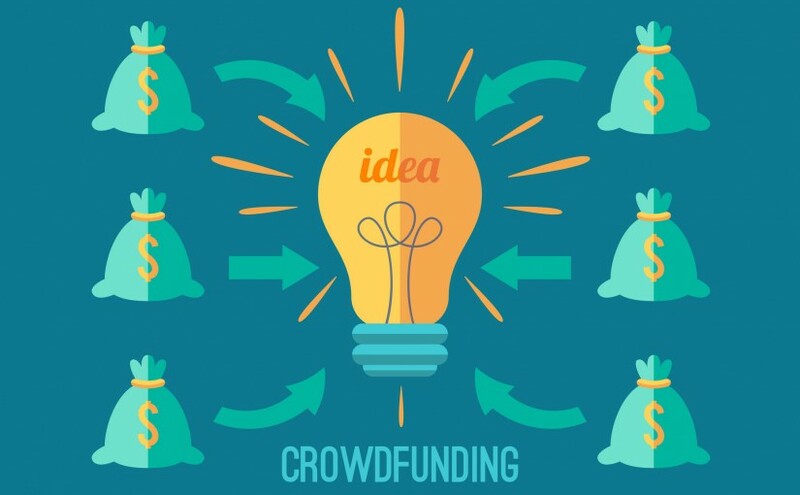 Crowdfunding, as its name suggests, is a funding method where everyday people take interest in your innovation and fund it with their own money. This action could be described as a donation, but crowdfunding and donations do differ in meaning. A donation is seen as a random act of kindness presented by an individual or group of individuals who believe in your cause, whereas crowdfunding is an individual or group of individuals who invest in your company with the expectation of receiving something in return. This could result in product, or shares of company stock at a later date. Now, with an understanding of what crowdfunding is, here is how it works. Note, while the general idea is the same, different crowdfunding sites could have different purposes or approaches. You will post your innovation on the site, in which a group of investors (which could be any number) will review and determine whether or not it is something of interest for them. If interested, the individual will pledge an amount towards your crowdfunding goal. Depending on the site you choose to seek crowdfunding from, you may be charged a small fee for placement. Fees vary from site to site and usually only apply once someone has pledged funding. Kickstarter.com – Kickstarter helps connect idea people with those whom have the funding to help their idea succeed. Since Kickerstarter’s launch, over 10 million people have backed a project, which equates to $2.2 billion pledged, and almost 100,000 projects fully funded. Indiegogo.com – From pre-launch tomarket place, Indiegogo has an innovator covered. With over 600,000 projects supported from over 223 countries and territories, Indiegogo has helped inventors and innovators. Peerbackers.com – Peerbackers encourages people to earn a return from their peers, not a bank, and is the next generation capital solution for ventures and investors. Peerbackers offers an array of services from advising investors on portfolio growth through crowd finance to assisting small, independent companies with the journey that is crowdfunding. Crowdfunding is a great way to fund your invention or innovation, but when you look at the bare bones, you need to know one thing, it’s all about strategy. Individuals who invest are looking toward products and services that are going to make a difference, and have the potential to be the next big thing. This is why positioning your company is important. Run a social media campaign on Facebook or Twitter to make your company look interesting. You want to look unique to stand out from the crowd, but be able to bring value to the table. Crowdfunding is a great way to test market acceptance for new inventions and innovations. For those looking to promote a new idea, it is a great place to meet with those who have the means to make their dreams come true.